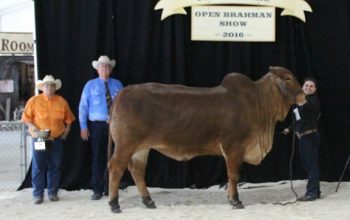 Double Win at 2016 Miami-Dade County Fair & Expo! 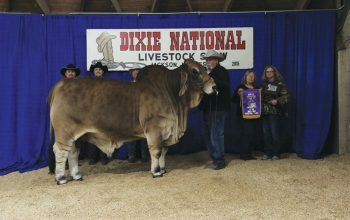 Dixie National was held in Jackson, MS on February 16, 2015. KF-CCC Skeeter 222/2 was awarded as the 2015 Dixie National Grand Champion & Senior Champion Red Bull. This Grand Championship at Dixie National already adds another prestigious award for KF-CCC Skeeter and recognition for K Bar Farms. Congratulations to all those who had participated in the event. 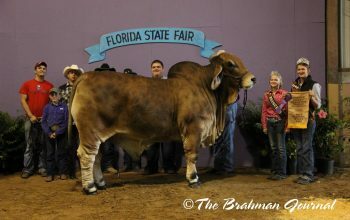 Florida State Fair was held in Tampa, Florida on February 5, 2015. 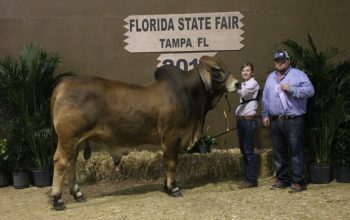 KF-CCC Skeeter 222/2 was awarded as the 2015 South Florida Fair Reserve Grand Champion & Senior Champion Red Bull. 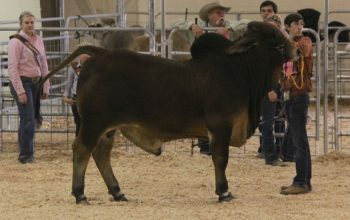 This Reserve Grand Championship at South Florida Fair already adds another prestigious award for KF-CCC Skeeter and recognition for K Bar Farms. Congratulations to all those who had participated in the event. 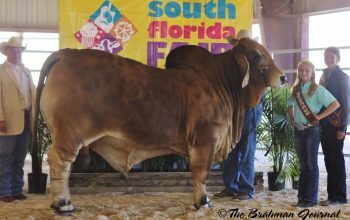 South Florida Fair was held in West Palm Beach, Florida and it was a Grand Brahman Show for K Bar Farms’s KF-CCC Skeeter 222/2. KF-CCC Skeeter 222/2 was awarded as the 2015 South Florida Fair Grand Champion & Senior Champion Red Bull. 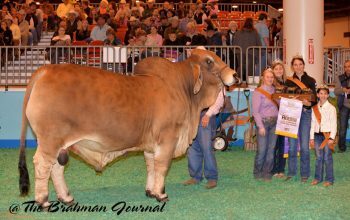 This Grand Championship at South Florida Fair already adds another prestigious award for KF-CCC Skeeter and recognition for K Bar Farms. Congratulations to all those who had participated in the event. 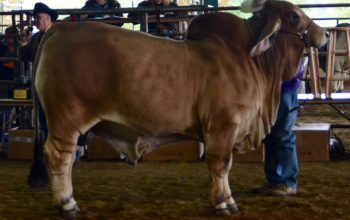 Jambalaya Classic was held at the Lamar Dixon Arena in Gonzales, Louisiana on November 14-16th and there was success in the Brahman Show for K Bar Farms’s KF-CCC Skeeter 222/2. 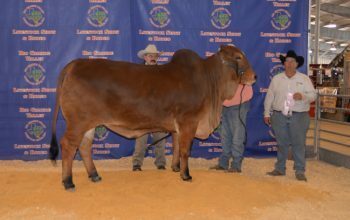 KF-CCC Skeeter 222/2 was awarded as the 2014 Jambalaya Classic Grand Champion & Junior Champion Red Bull. This championship at the Jambalaya Classic already adds another prestigious award for KF-CCC Skeeter and recognition for K Bar Farms. Congratulations to all those who had participated in the event.